One of the best things you can do to maintain your eyesight is to have eye exams regularly. Doing so ensures the prompt detection and management of common vision problems, like eye strain. It’s also a great opportunity to learn reliable tips from your eye doctor on how to properly care for your eyes. 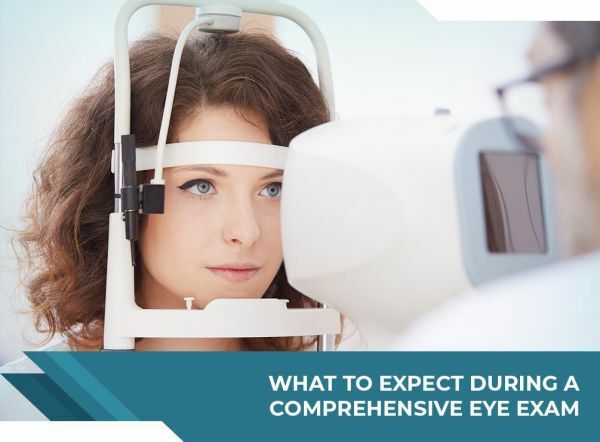 NeuroVisual Specialists of Florida and iSee VisionCare, the only neurovisual optometry clinic in Florida, talks about what happens during a complete eye exam. Dr. Erin Sonneberg, O.D., will first interview you about your medical history. This step serves as our guide in creating your eye care plan. It’s also a great opportunity to establish rapport. We may ask about conditions that run in your family since heredity is a primary risk factor for most eye conditions. Our questions may also involve any disease or injury you’ve had that may have an impact on your current visual health. This may include medications you’ve taken, as well as procedures or surgeries you’ve undergone. As the only certified neurovisual optometrist in Florida, one of Dr. Sonneberg’s priorities during your eye exam is to evaluate how your eyes and brain work together. This can help us establish binocular vision disorders, such as amblyopia or lazy eyes. Afterward, we may perform other routine eye tests, like a visual acuity exam. While you’re covering one of your eyes, we’ll ask you to stand 20 feet away from the Snellen chart and identify a series of letters. If we find signs of refractive errors, such as nearsightedness, we may then have you look at a phoropter. This device holds lenses of varying powers. We’ll have you try a few of them and ask you to indicate which gives you the sharpest vision. We may have you undergo additional visual tests as necessary. Your history and the results of your tests will be our basis for your treatment plan. We may prescribe corrective eyeglasses or contact lenses, for example, if you have impaired visual acuity. For those who have binocular vision dysfunction, we may recommend using special lenses in the form of prisms to realign the images you see. They also help reduce your eye strain, improving your visual clarity and stability. We’ll explain our suggestions in detail and answer all questions you may have. Call us at (561) 733-9008 and schedule an eye exam today. We serve different FL areas, including Boca Raton, West Palm Beach, and Lake Worth.